This is part two of our TDC Type Trio. Register for all 3 camps in the TDC Type Trio for $890 and save over $200! There are two one-day workshops available: Friday 15 May and Saturday 16 May. Please specify which workshop you wish to attend on the registration form. 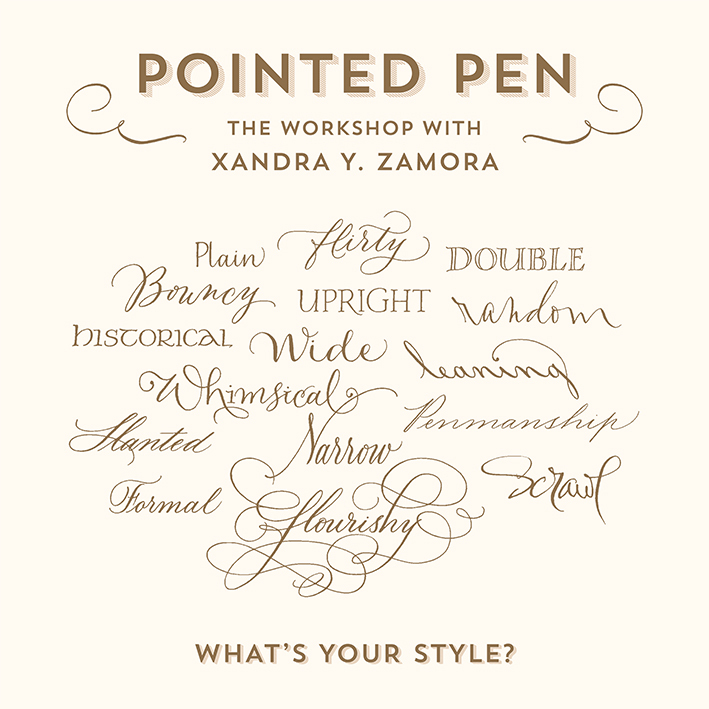 This one-day professional training Type Camp will focus exclusively on Pointed Pen lettering with a touch of calligraphy. The pointed pen is known for simple scripts, serifed Roman forms, bold flourishes, and even gritty scrawls. This urban workshop will help beginners and experienced letterers alike to learn the tools and the rules for this old-is-new-again device. You don’t need to know about lettering or pens because in this workshop, you will gain a basic understanding of how the pointed pen works, in the famous Type Camp learning style, all while creating your own script alphabet. We’ll even develop choice words that you can digitize later on your own. 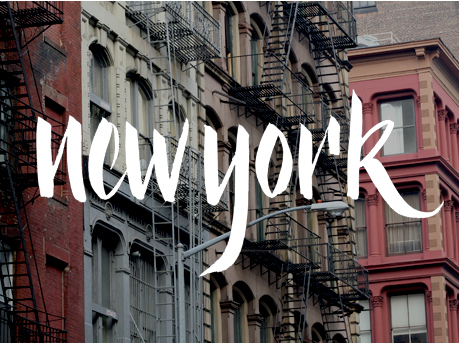 Our studio space will be located at the Type Directors Club HQ in central NYC. We will start at 10.00 am, break at 1.00 for lunch, and continue until 5.00 pm each day. In addition to getting your own pack of tools to take home, we will also provide: tips on working with dip pens, problem solving for those pesky letterforms, oodles of practice sheets, exemplars to copy, sources for even more supplies, and loads of more recommendations. Type Camp provides all the materials, so just get yourself there and and we’ll take care of the rest. Are you a member of the TDC? Then you get $50 off the registration price. Let us know on your registration form. No computer needed, we're all analog with this one.